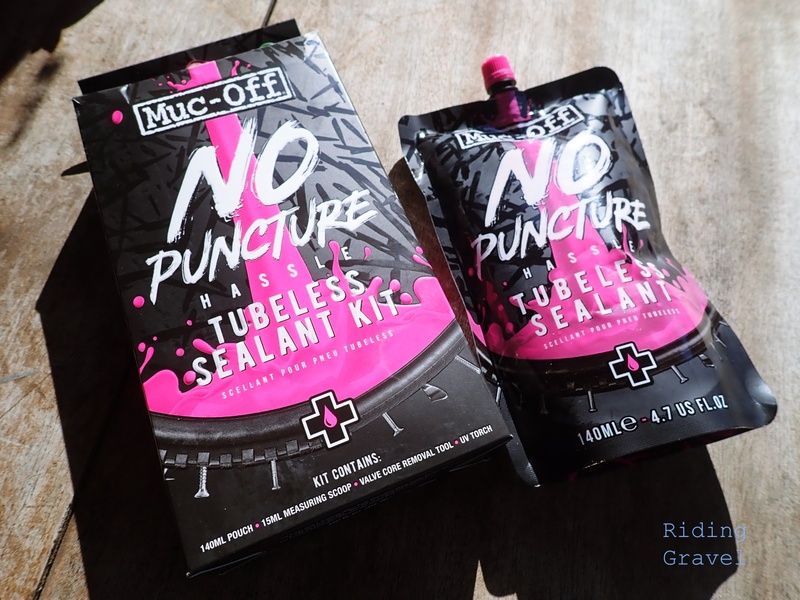 Muc-Off No Puncture Hassle Tubeless Sealant: Quick Review – by Guitar Ted The tires we use are some of the most hotly debated subjects when it comes to gravel road riding, or any type of riding, really. Many of our tires need sealant if we set them up tubeless, and even this accessory item is one that receives a lot of debate. Which one is best? What sealant do you use? The fans of one type or another often fill threads on social media and on online forums with all sorts of stories. Here at Riding Gravel, we are big fans of tubeless tires. Most of us have been using tubeless tires for over a decade, and we’ve gone through our fair share of sealants. The good, the bad, and the really not very good, ugly ones. They’ve all passed through our hands. So, when we get news of a sealant we haven’t tried, we like to check it out. Recently we were contacted by Muc-Off, a bicycle accessory company known for cleaners, lubricants, and- you guessed it– sealant for tubeless tires. While Muc-Off isn’t very well known in the U.S.A., they have been around in the U.K. and European scene for quite sometime. Let’s take a look at this shockingly pink liquid a little closer. 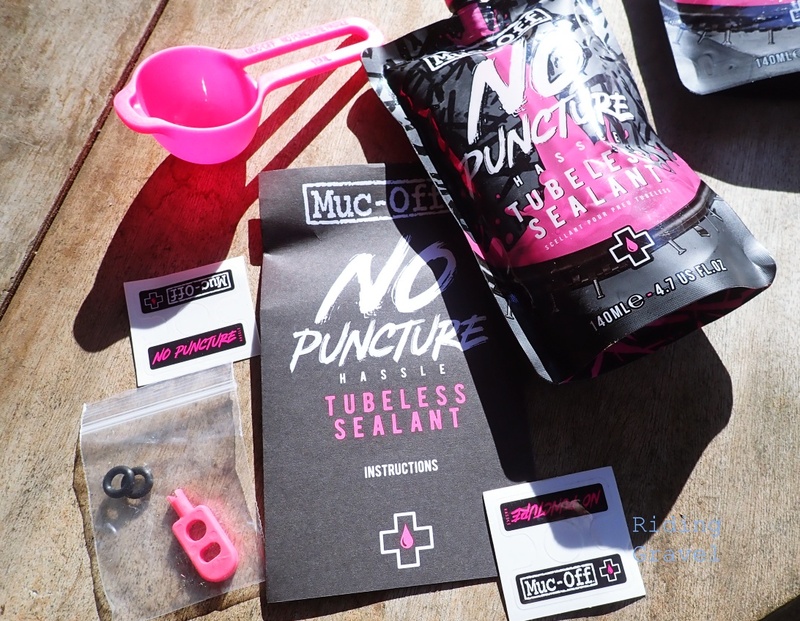 Muc-Off No Puncture Hassle Tubeless Sealant comes in kit form, or in a pouch. Muc-Off sells the No Puncture Hassle Tubeless Sealant in kit form, which includes a plastic scoop, (in case your valve cores are not removable) a valve core removal tool, some stickers, an instructional manual, a little LED light fob, and, of course, the sealant. The sealant packet is 4.7 ounces which is plenty for a tire in the 38mm-45mm range and to spare. The pouches are also available separately. The unique thing about these pouches is that the sealant can easily be introduced into a valve once the core is removed. Muc-Off designed the package so that the opening fits over the Presta valve perfectly and sealant can be poured into any tubeless valve stem this way without dripping or spilling. (Given that you follow the simple instructions) Furthermore, a clear “window” area exists in the pouch with gradations to verify how much sealant you have put into your tire. The stickers are to be placed alongside your valves on the rim to indicate that you have this crazy, luminous pink stuff in your tires. Optional, of course, but the color is not just for shock value. There is a UV element to to the sealant, and the LED light fob is included in the kit which can be used to detect areas of your tire where sealant may have escaped due to unseen punctures. Oh, and I should mention that you get a couple of “O” rings in the kit as well for holding the valve core removal tool on the stem for use in the field, if the need arises. This leads me to a couple of interesting points about the package Muc-Off No Puncture Hassle Tubeless Sealant comes in. You can pack it with you. The size and shape of the pouch lends itself to being stowed and since you can take the valve core out with the provided tool, (in the kit form) you can field service your tires, should the need arise. This could be a lifesaver in longer events or for bikepacking scenarios. But maybe most importantly, the sealant pouch can be refilled. The Muc-Off sealant is sold in one and five liter jugs which you can use to refill the pouch when it is empty. This is a great way to remind us all to keep from littering where we ride and to reuse and recycle whenever possible. I appreciate that about the packaging and that the design of the pouch lends itself to being useful. In keeping with the pink theme…..
Ride Performance: Of course, none of these features and goodwill matter if the sealant is not doing its job. In the case of this No Puncture Hassle stuff, it does its job quite nicely. 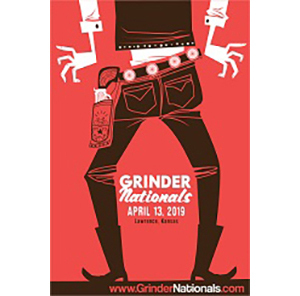 As stated in the opening, I, and the rest of the Riding Gravel contributors, have handled a lot of tubeless products over the years. In my case, I’ve used dozens of different branded sealants, many of which are not even sold anymore. The best ones are generally very similar. Latex based, long lasting, and they seal up things quickly and efficiently. The Muc-Off product does all this very well. I also was impressed by the “hand feel” of this sealant. I wouldn’t recommend that anyone put sealant on their hands and rub it, but you kind of get an indication of how certain sealants work when you do that. Anyway….the better sealants feel like this Muc-off stuff. It is in the same league as Stan’s or Orange Seal in that way, only in my opinion a bit better. This is definitely a subjective test, but in my experience, it has held true. It should be mentioned that Muc-Off claims that this No Puncture Hassle sealant doesn’t “ball up” as it dries out. So, it sounds more like Orange Seal in that manner, just for comparison’s sake. At The Finish: In the Enve wheels on test, and with WTB Resolute tires, the Muc-Off sealant did a perfect job. I did not use the UV detection system to see if there had been any leakages, but judging from my air pressure retention, I’m pretty sure I had very little loss of air or a puncture. Part of that is due to the precision Enve rim, but this sealant also showed me it seals up tires nicely. Again, I didn’t have any indications of any punctures, but I have swapped this over to another wheel set and will continue to run it longer term to see how it lasts, and if I get any punctures, how it performs there as well. That said, I’m impressed with this stuff, both from a performance standpoint (so far) and in terms of Muc-Off’s packaging. Well done, Muc-Off! Muc-Off No Puncture Hassle Tubeless Sealant is available from most US bike shops, or direct at MSRP $12.99 per kit and $9.99 for pouch only. Note: Riding Gravel was sent the Muc-Off No Puncture Hassle Tubeless Sealant products at no charge for test and review. We were not paid, nor bribed for this review and we strive to give our honest thoughts and opinions throughout. I would be interested to hear how well Muc-Off seals when you actually have a puncture or even a sidewall gash. Recently I heard air escaping while riding my MTB. Stopped and found the sidewall was cut. Turned the bike to place the cut sidewall down and spun the wheel. The Orange Seal stopped the leak and I was able to complete my ride. Nice when a sealant does it’s job! 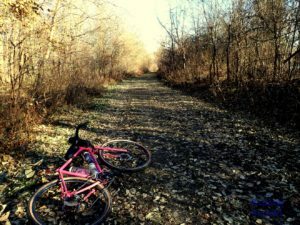 My gravel bike has WTB Resolute tires and so far (knock on wood) I have never detected a puncture. I will watch for more reports of the Muc-Off sealant. Thanks.